BEAUTIFULLY UPDATED RANCH HOME. NEW HOT WATER HEATER. NEW FLOORINGS, UPDATED BATHROOMS. NEW KITCHEN WITH GRANITE COUNTERTOPS AND STAINLESS STEEL APPLIANCES. VIEW OF THE RIVER! Ready to visit 326 Saunders? Request a free property tour! Send me more information about the listing at 326 Saunders, Portsmouth, VA 23701, MLS# 10239836. 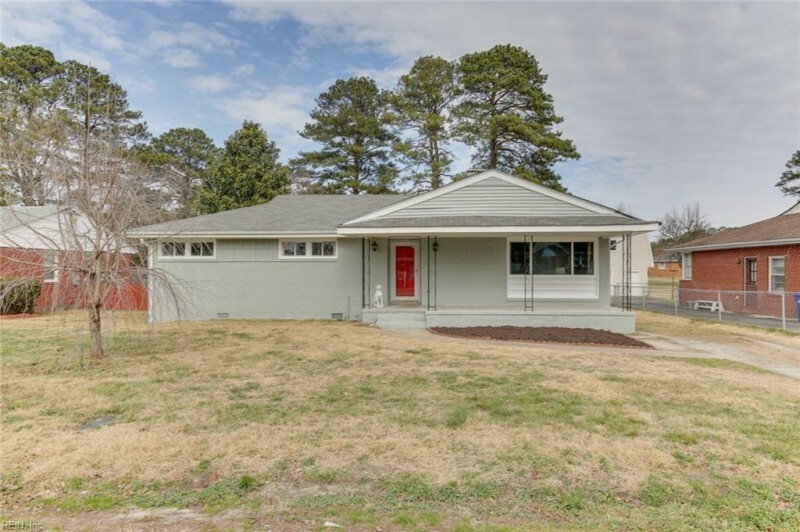 This 4 bedroom, 2 bathroom home located at 326 Saunders, Portsmouth, VA 23701 has approximately 1,482 square feet. It is currently listed for $214,998 and has a price per sqft of $14,507. This home is currently Off Market under the MLS#: 10239836. This listing is provided by COVA Home Realty. 326 Saunders Drive, Portsmouth was built in 1956. It has Driveway Spc parking.The kitchen includes Dishwasher, Dryer Hookup, Microwave, Range, Refrigerator. 326 Saunders is part of the Pine Acres - 041 neighborhood located in 23701.